Officers recover the Colon Cancer Coalition's inflatable walk-through colon, polyps and all, about two miles from where it was taken. "You're about to watch a camera go where no camera has ever gone before." Colorectal cancer is nothing to be embarrassed about. After all, it was just on national TV. Colorectal cancer is not just a man's disease -- it's the third most common cancer in women behind lung and breast -- and not just among the elderly. There are many ways I could carry on Lindsey's legacy and show the impact she made on my life. She never complained. She always found hope. She bravely explored and participated in clinical trials. She always, always smiled. She got involved. Miss Colorado, I could recite endless ways your profession has helped me, and I applaud you for being the voice of your profession and for bringing it to a national platform. I hope that it is a major step in the right direction to remove the word "just" whenever anyone is speaking of being a nurse. For the men out there, this is much more than a recap of my medical history. It's a cautionary tale that if you're too manly to see what's going on with your body, heed my advice: Check it don't Neglect it. Going for screenings and taking preventative steps for these four types of cancer are crucial. By moving fruits and vegetables to the center of the breakfast and lunch lines, these schools -- and many others -- are leading a revolution to improve kids' health, manage rising rates of childhood obesity, and tackle our country's ongoing struggle with an epidemic of chronic disease. A review of the medical literature shows why colonoscopy has been considered the gold standard for colorectal cancer screening and why it should be recommended for all patients eligible to undergo the test. When I walked out of the photo shoot this year, knowing that the life-changing experiences would soon take place amongst the new models and staff, it was hard to actually get in my car and leave. Stepping away is never easy. As a cancer survivor myself, she's reminded me that despite the pain that cancer can bring, there's still a place for hopes and dreams. If I let myself marvel in the magic and happiness of life -- maybe some of that pixie dust will keep floating in. 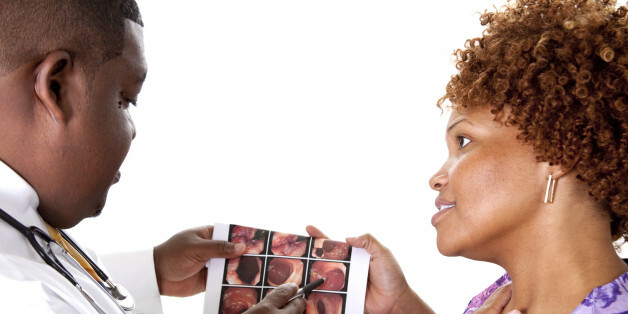 More than 50,000 Americans are expected to die from colorectal cancer this year alone. We need to reduce that number by seeing that everyone who should be screened for colorectal cancer gets screened. The purpose of the study was to evaluate the potential relation between diet, microbiome and colorectal cancer risk. To explore this disparity, we switched the diet in healthy subjects from a traditional high fat, high meat, low fiber Western diet to a high fiber Zulu African diet, and vice versa. Approximately one in six men will be diagnosed with the disease at some point in their lifetime. What if the quality of sleep plays a role in a man's risk for developing the disease? Your Mom Had Cancer -- Should You Be Worried? Just because your mom had breast cancer does not mean that you will be struck with breast cancer as well. The causes of cancer are complex.